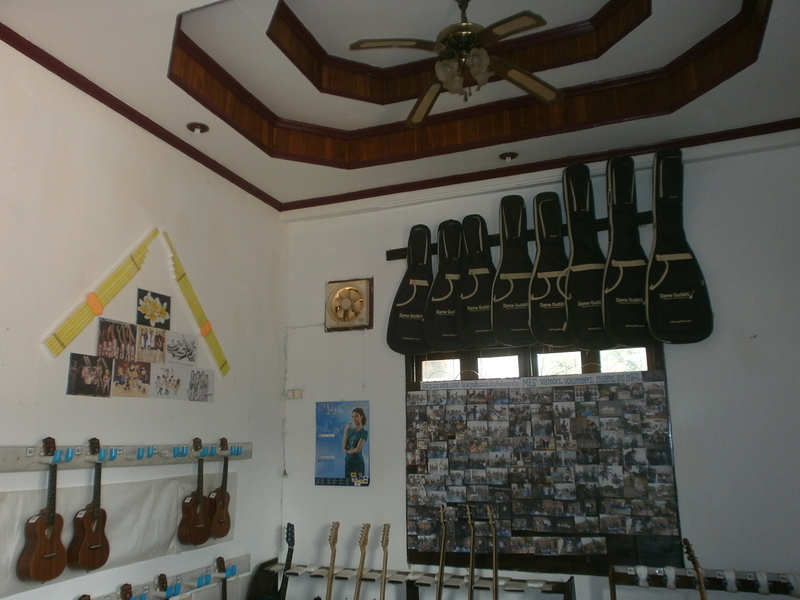 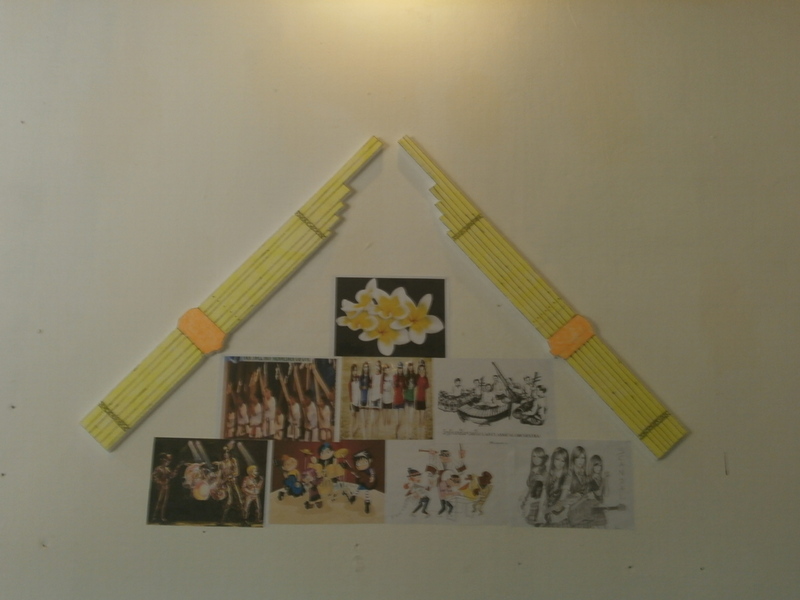 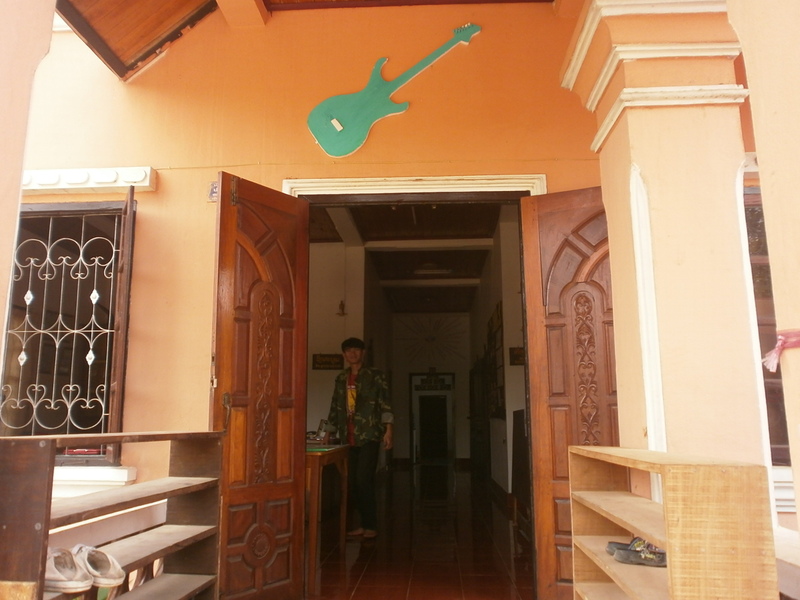 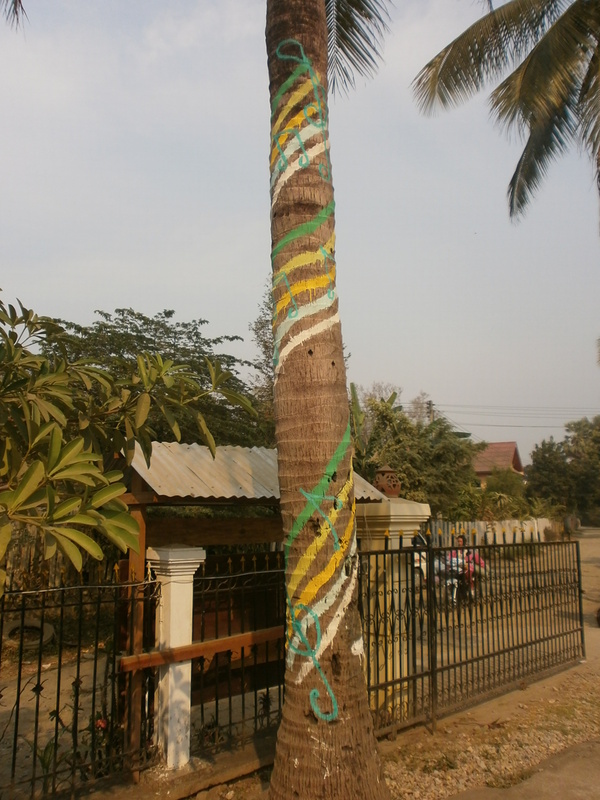 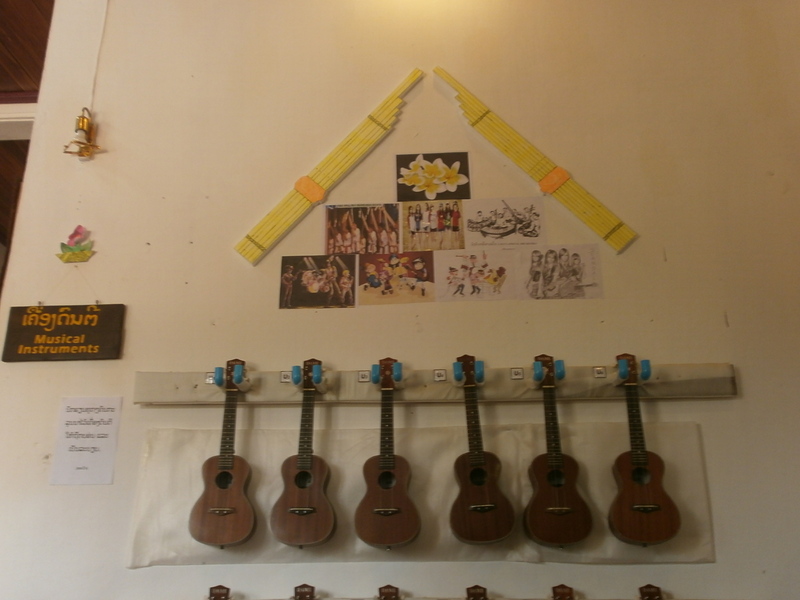 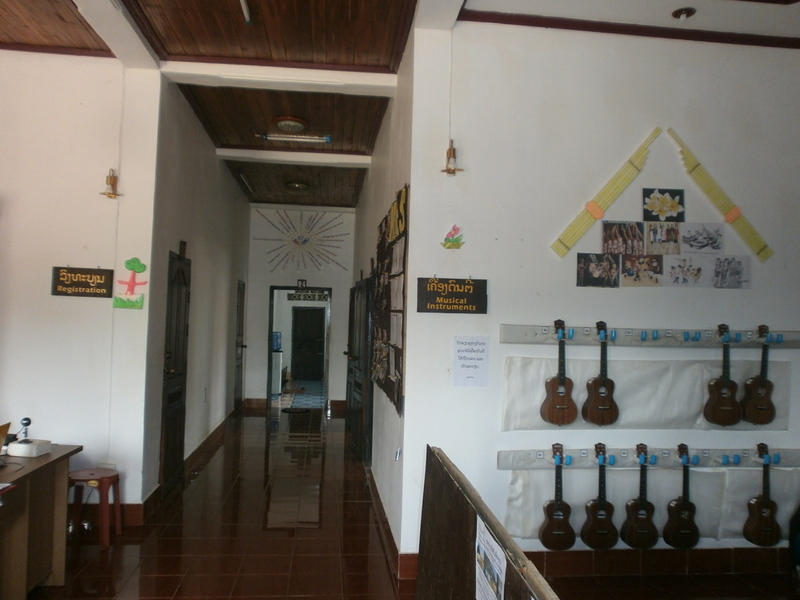 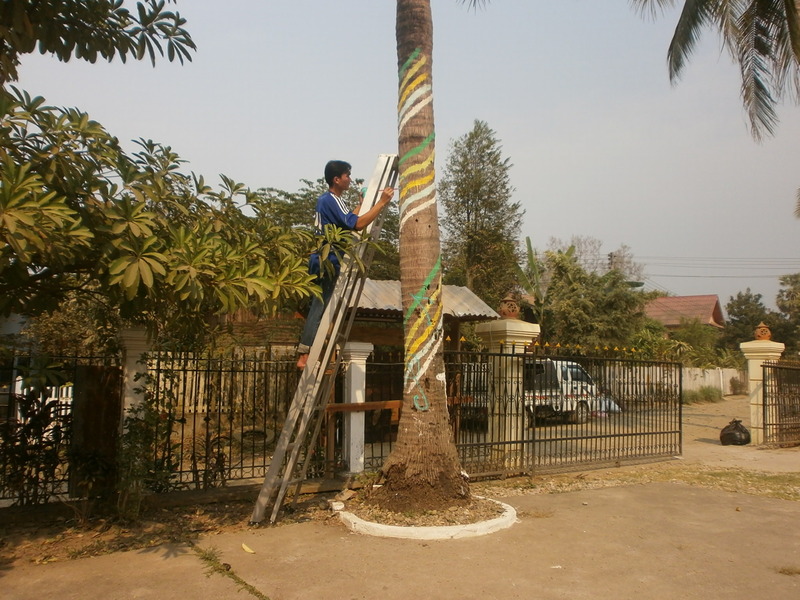 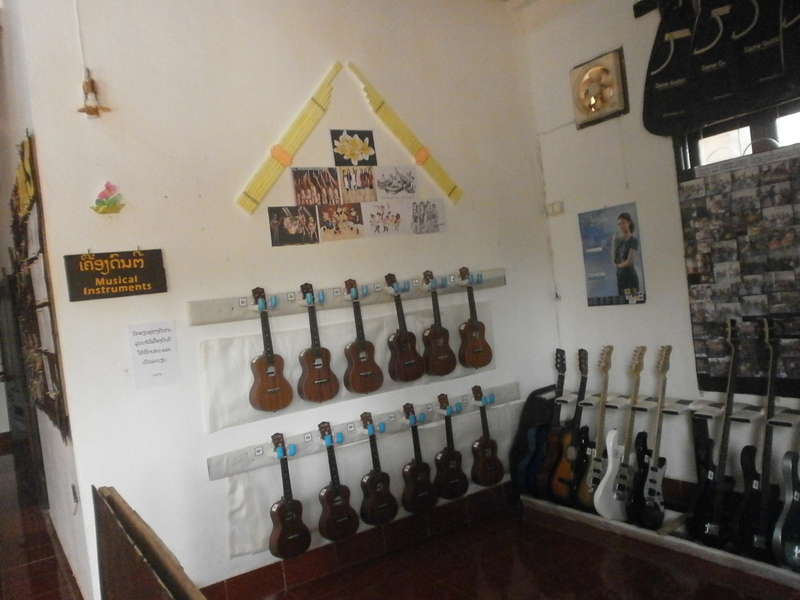 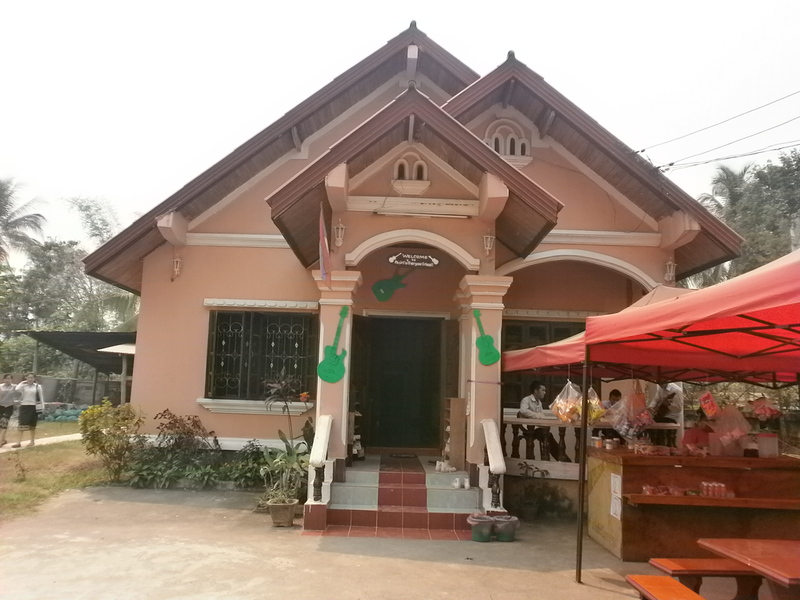 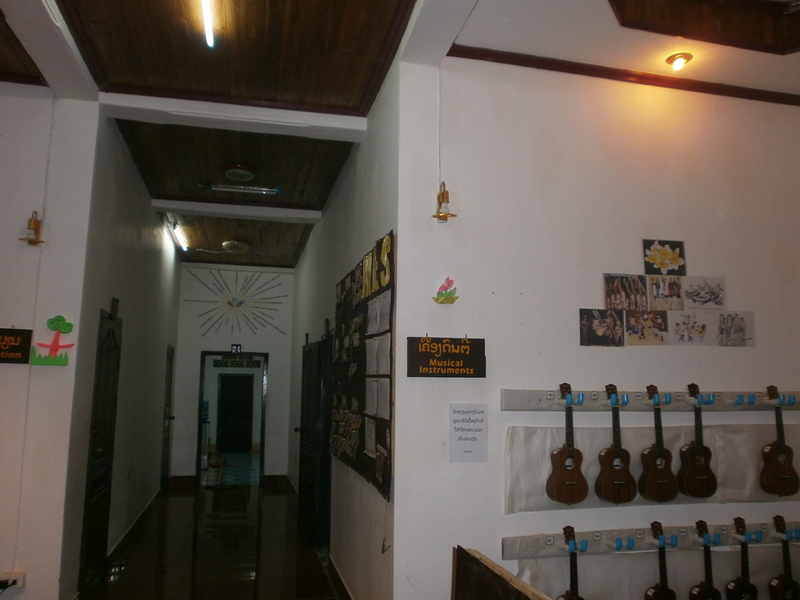 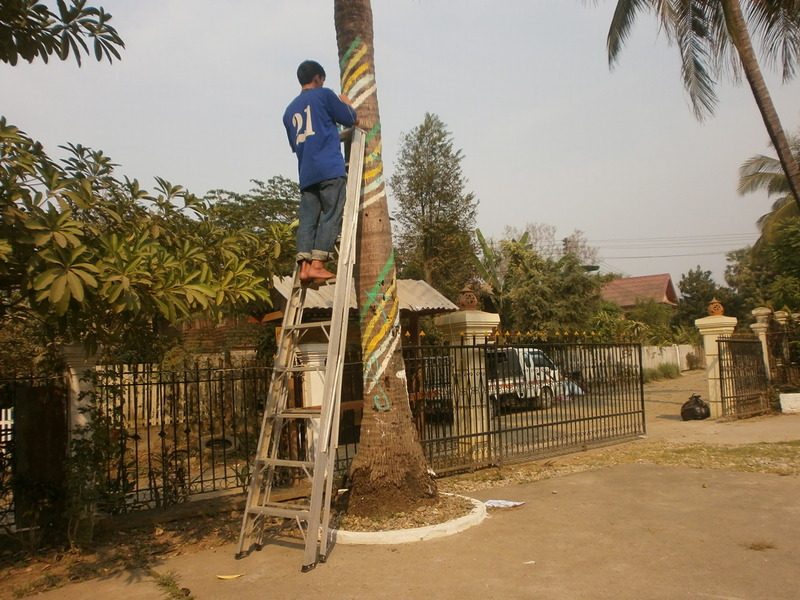 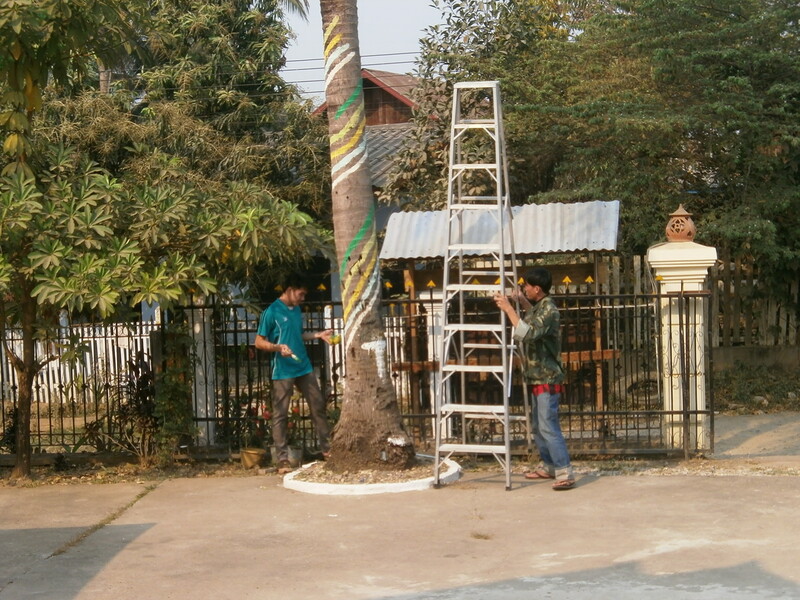 We painted music notes on a coconut tree in front of MES and made Lao instruments “Kaen” and some guitars. 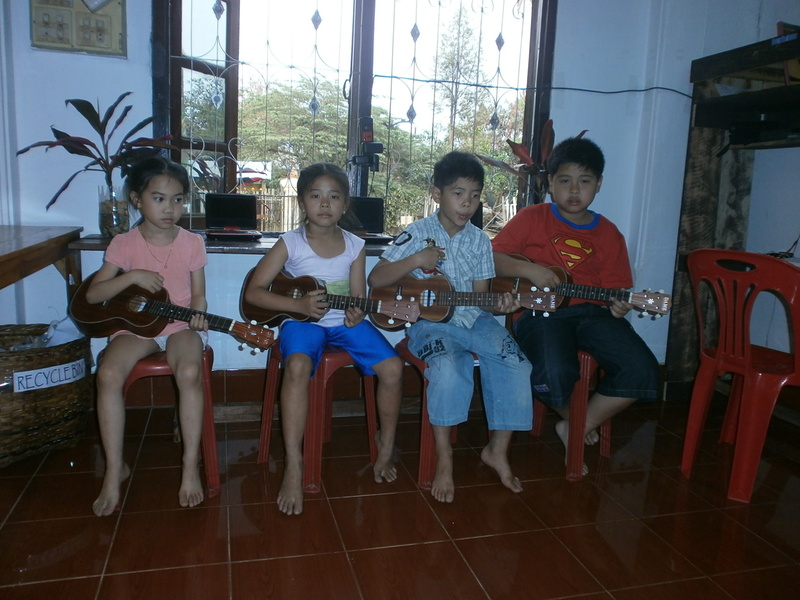 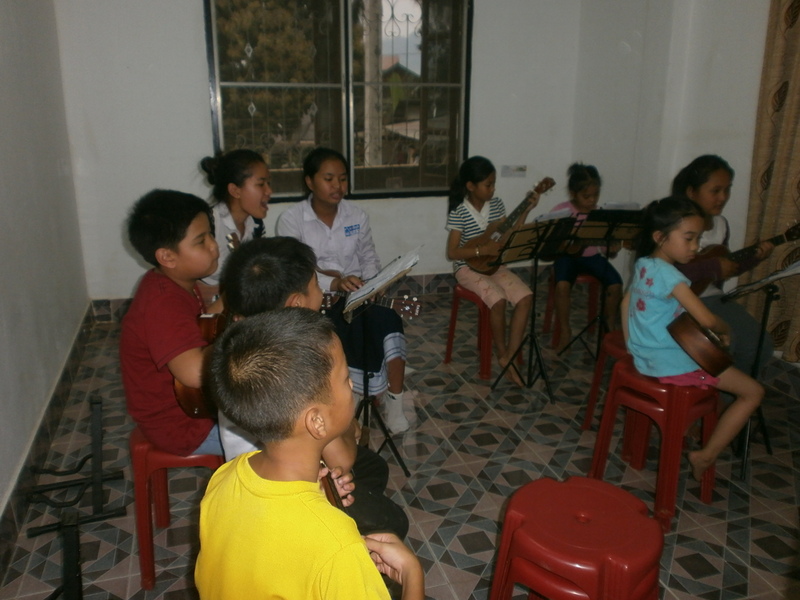 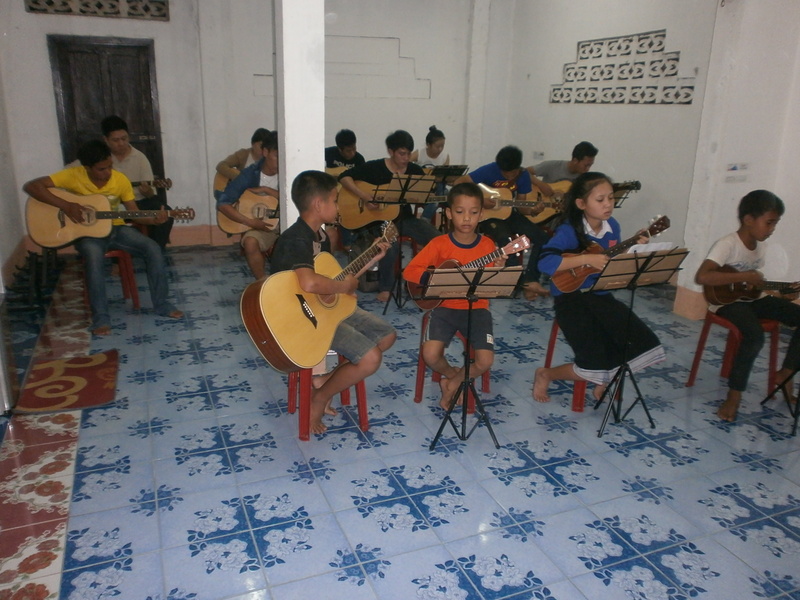 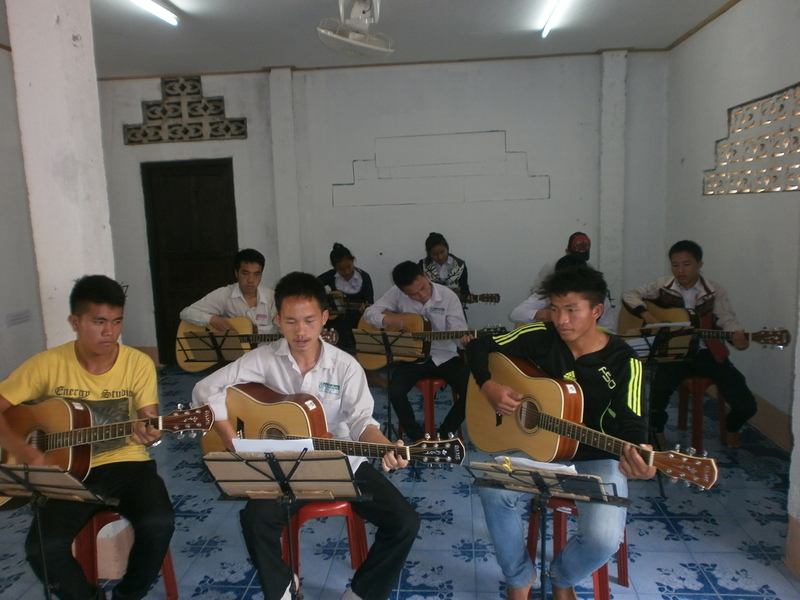 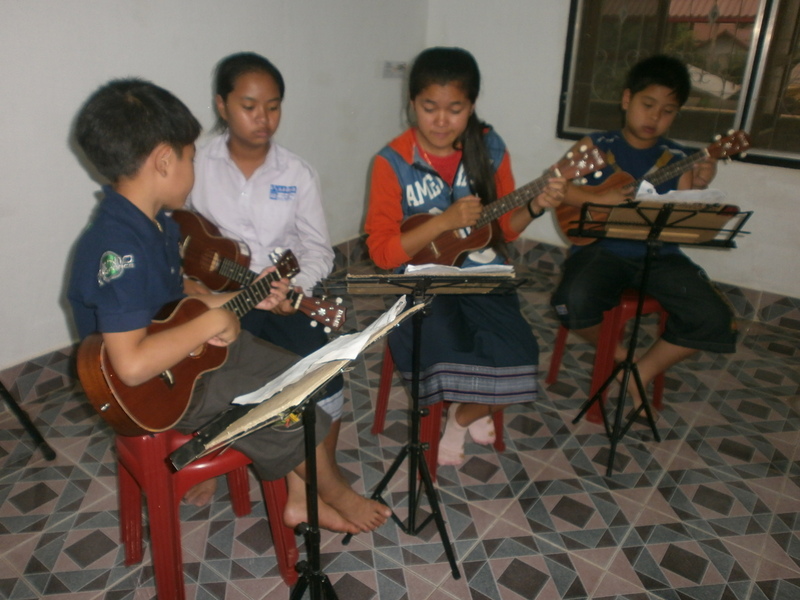 So glad to see many people come to MES , here are some of them who are very fond of playing guitar and ukulele. 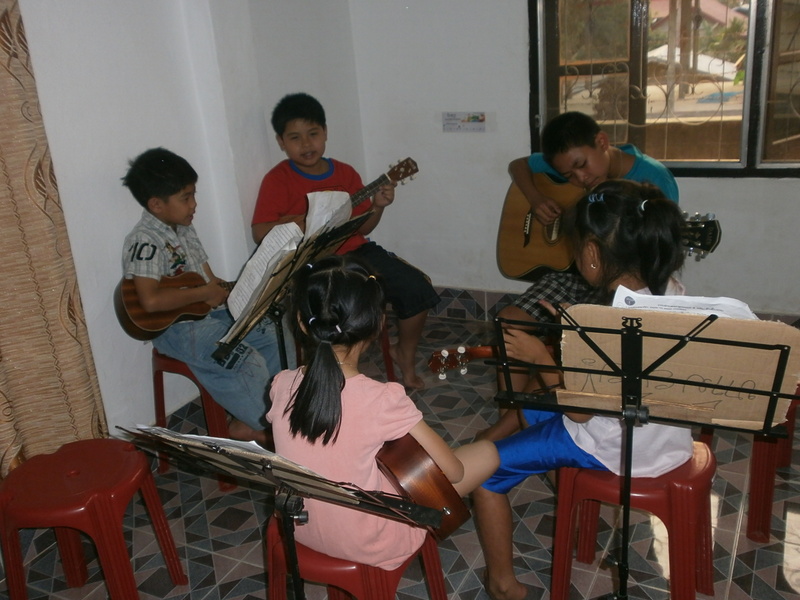 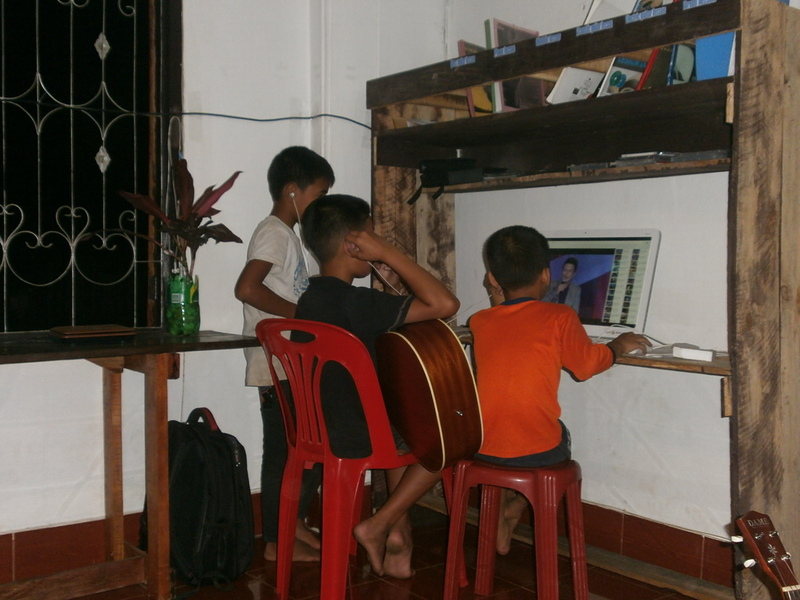 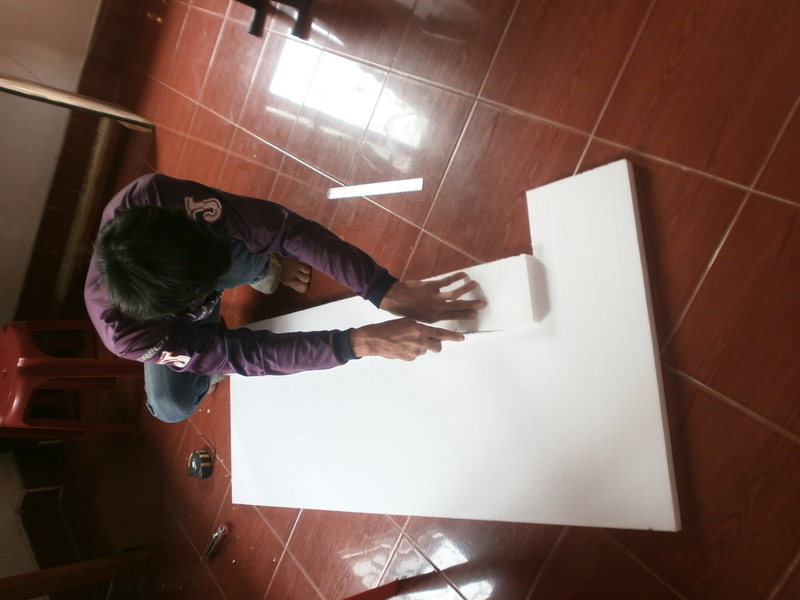 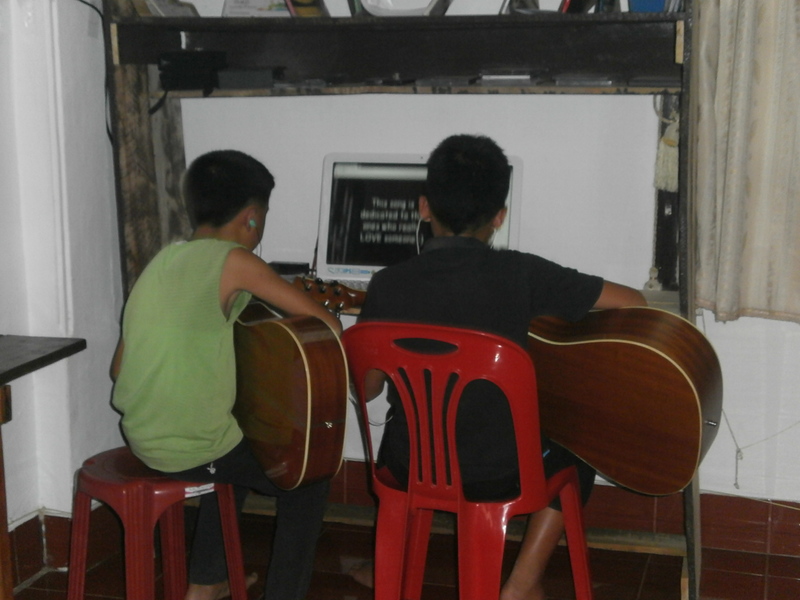 They’re really patient with their lesson and always try hard and very concentrate.